IPLC: Today is the future! What we are making today is the future. The shape of the future depends on the school training undertaken by our young people of today. Help transform our society, build a strong moral-centered nation and help create a world of lasting peace. 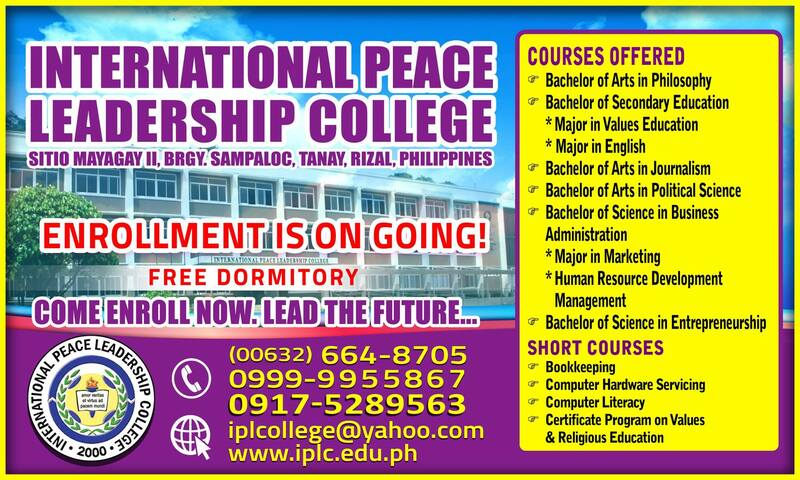 Our door is open for everyone to enroll at the International Peace Leadership College, a premiere academic institution to train students in the emerging world of global leadership where studying is not just only about earning college degree but simulating the practice of the four (4) great realms of heart beyond personal interest, beyond own’s limitation and learning the tradition true leadership. In this connection, may we announce to everyone that the 4th batch of the 10-day General Orientation & Seminar Workshop for the incoming freshmen at the International Peace Leadership College will be on May 9-18, 2015. 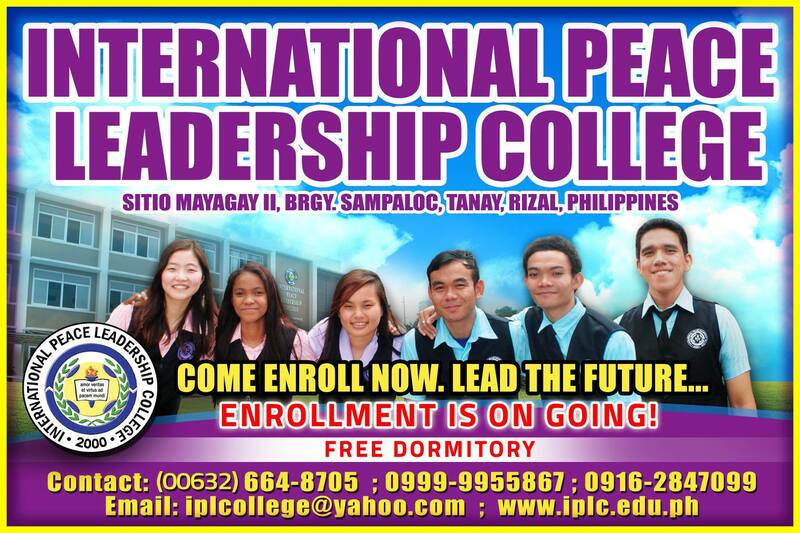 The said seminar/workshop is a pre-requisite for admission at the International Peace Leadership College.